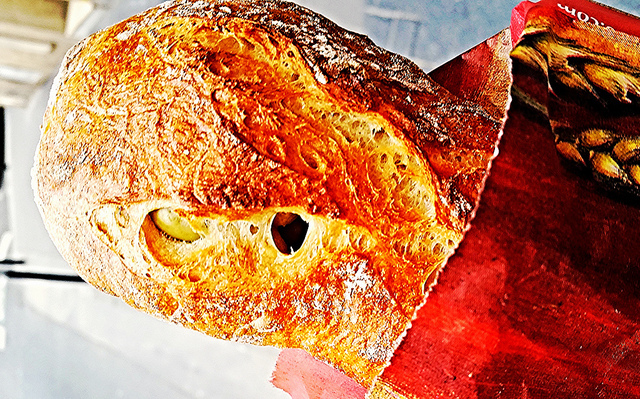 In Paris, fresh, warm and perfectly baked baguettes aren't exactly uncommon. But the folks over Reine Bles Boulangerie in the 5th arrondissement bake the most delicious and perfect green olive bread in the city. It’s hard to explain, but there’s something magical that the moisture from the whole green olives do to the center of the baguette. The result is a light, fluffy, moist middle surrounded by a thick crust with an olive surprise every few bites. See our complete guide to Paris Daytime Eats: Top 7 Under $7.